The world of search is in constant turmoil; if Google isn’t announcing another algorithmic update, you can bet something else is causing waves that are leaving marketers in a tizzy. Case in point, the mobile revolution that Apple kicked off when they introduced the iPhone, the first commercially successful smartphone to hit the market. Since then, competitors like Google and Samsung have been quick to come out with their own smartphones, and users have been even quicker to adopt them into their daily lives. For us, the users, it can be equated to a love story with the utility smartphones provide. From being able to call, message and take low quality pictures, we can now browse the internet, take high definition photos, and use applications for functions that number in the thousands, if not millions. Additionally, we also have digital assistants like Siri (Apple), Alexa (Amazon), Google Assistant (Google) and Cortana (Microsoft), who all live in our devices and are always ready to lend a helping hand. The thing is, when we were introduced to such digital assistants, not only did the way we use our phones change, but also the way we searched. For instance, we realized that asking Siri to search for something was infinitely easier than manually doing so. And thus we arrive at our main discussion point for today: voice search in digital marketing. A Sci-Fi staple for decades, voice technology is no longer constrained to books, TV shows or movies. While we still don’t have the technology we envisioned when we saw Captain Kirk talk to the computer aboard the starship Enterprise, we do have functioning voice technology that uses artificial intelligence (AI) branches like natural language processing (NLP) and deep learning to ‘understand’ what is being said. In effect, this has given us a more natural alternative to typing in which voice has become the new keyboard. 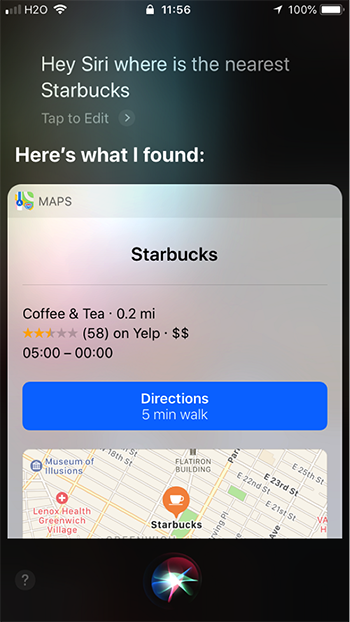 After all, is it not easier to press a button and say, “Hey Siri, where is the nearest Starbucks?” than to unlock a phone, open an app and type the same? 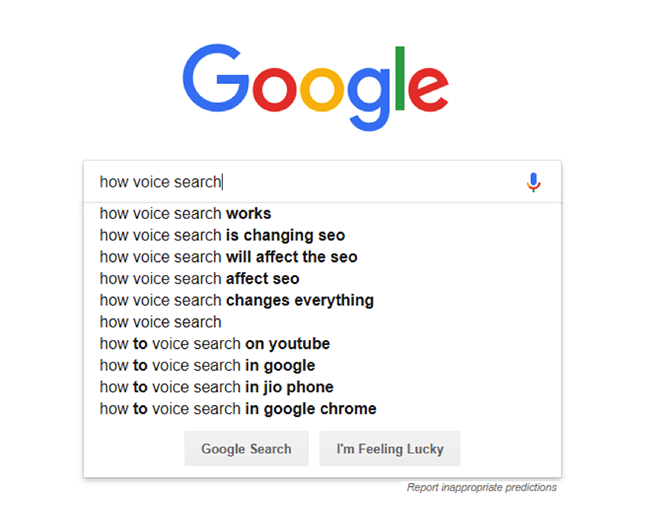 Easier it may be, but the change from text to voice meant that marketers and business owners had to adapt to a new reality; a reality in which the difference between how we search with keyboards versus our voice had changed SEO forever. With keyboards, for example, shorthand takes the reins and queries that say the most with as few words as possible are the norm (e.g. Starbucks nearby). Voice, on the other hand, is inherently different because of the medium being used: our voice. 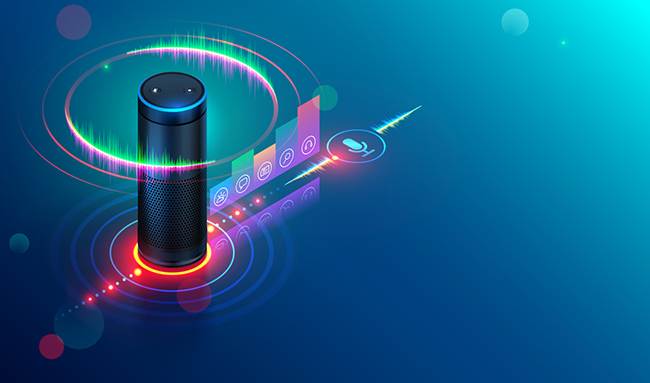 Instead of shorthand, voice search makes use of the Five Ws and How (Who, What, Where, When, Why, How), other question modifiers and long-tail keywords that are conversational and capture intent. When combined, these differences result in the Starbucks example with Siri we used above. As you can see, voice search mimics how we speak to others in real life, which is the underlying factor behind SEO’s current evolution; an evolution that is leading to much-needed revisions to existing search strategies that target users who search with a keyboard. The good part in all of this is that these revisions are quite manageable and do not require complete overhauls to strategies that have been worked on since “SEO” entered mainstream vernacular. In fact, everything you have to do can be accomplished in four steps. Similarly, look for queries that begin with, “Hey Siri,” “Hey Alexa” and “Hey Google,” that you know with certainty came from voice search. Once this is complete, you will have the foundation for your voice search marketing strategy. Note: You can also use other search engine features like “People also ask” and “Searches related to…” to further expand on what you have. 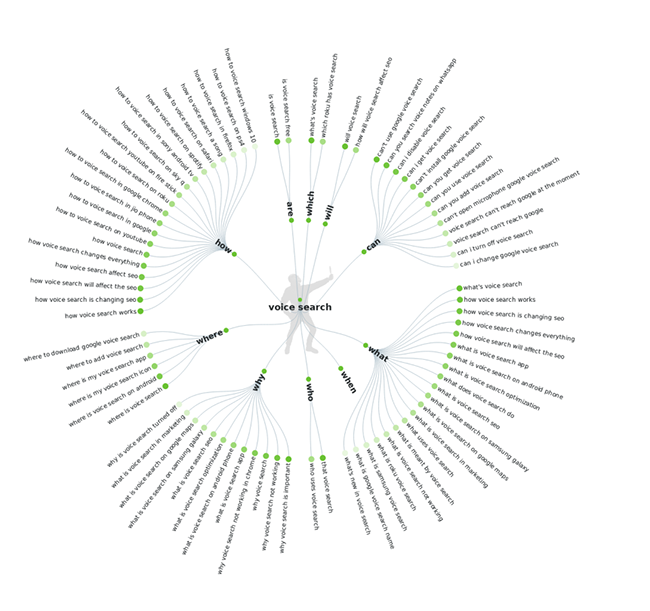 Wordtracker's keyword tool also offers a Questions filter to narrow down your results to the questions people are asking. Like regular keyword research, step three involves trimming from your existing list by creating a list of negative keywords you do not want your website or advertisements to appear for. To this end, look over your list and single out those queries that have nothing to do with what your brand offers. For example, if you sell luxury clothes, you may want to add queries that have the words, “cheap,” “affordable” and “bargain,” into your negative keywords list. Rounding up your research strategy is step four, which is to take a step back, wait, review and repeat. First, take a step back and wait until you have gathered enough data to accurately gauge the performance of your new list of voice search optimized keywords. 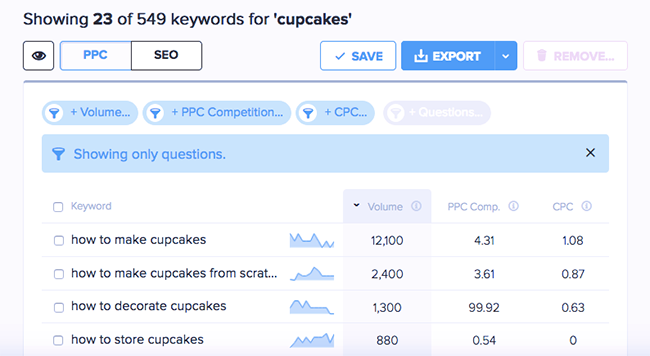 Second, with that data, review the performance of all your keywords and decide whether or not they are helping you capture voice search traffic. If they are, good—keep them and come up with similar keywords and their variations. If they are not, take them off your list and repeat the process until you have arrived at a list of keywords that are bringing you the traffic you want. You now have a voice search strategy for keyword research — excellent! Before you sign off and start celebrating, get a refill on your coffee because we have one more topic to cover today: best practices to optimize your website for voice search. After all, knowing which keywords to use as part of your voice search marketing strategy is only half the battle; the other half is preparing your website to capture all voice traffic. As the standard for all online communication, not only will your website be more secure when paired with HTTPS as opposed to HTTP, but considering that Google loves websites with that extra “S” at the end, you may even see your content appear more frequently for voice search queries. In fact, when Backlinko analyzed 10,000 Google Home results, they found that HTTPS websites dominate Google’s voice search results, with 70.4% of result pages being secured with HTTPS. More intuitive for voice search than securing your site with HTTPS is improving your website’s speed. For one, slow speed equates to lower search rankings, even without voice search thrown into the mix. Second, chances are good that your voice users will be coming from mobile devices or smart speakers, two search mediums with audiences who are notoriously picky about the speed at which they get results. 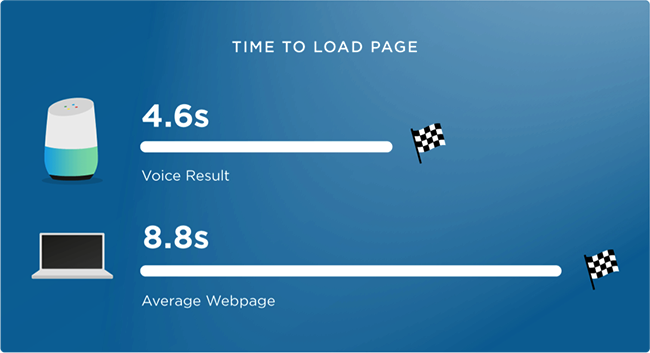 When you put two and two together you arrive at another one of Backlinko’s findings, that the average voice search result page loads in 4.6 seconds (52% faster than the average page). 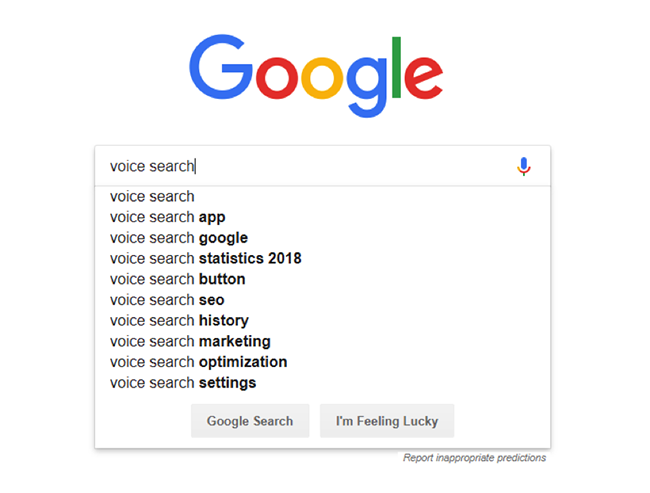 How is voice search SEO different than normal SEO? Apart from being a generally helpful feature for your users, FAQ pages have an added bonus for your brand: an increased likelihood to be pulled up for a voice query. Why? Because these types of pages already have the exact format search engines like Google want for a source, i.e. a conversational question followed by a short and concise answer. As a matter of fact, for voice search results where Google provided a source for their answer, 2.68% came from FAQ pages. Like FAQ pages that answer your audience’s questions, blog posts that do the same are similarly good for voice search. Key here is focusing on long form content, as the average word count of a voice search result page is 2,312 words. Keep in mind that this does not mean that you’re in the clear as long as you have a lot written. Instead, it means that you have to deliver valuable and engaging content—which already ranks higher than its less engaging counterpart—that’s also comprehensive. Finally, when you consider that the average Google voice search result is written at a 9th grade level, you come to realize that using all those big words and fancy vocabulary may actually be pretty harmful to your voice search efforts. Don’t let that happen. Instead of combing through a thesaurus, think like your audience and talk like them. In other words, use conversational content that will more closely resemble the language they use when talking to their digital assistants. As we now know, the first option is not even feasible if you plan on staying in business in this rapidly evolving world we live in, and the second, while a daunting thought at first, is actually more similar to a dog with a lot of bark and no bite; it’s not as bad as it seems.